Microsoft has announced its Windows 10 release on July 29. 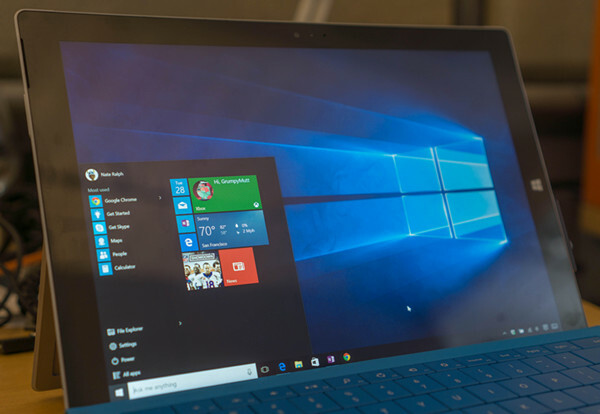 This version brought the Start Menu back and fixed the broken desktop experience of Windows 8, just like what most users had wished. The upgrade process is mostly painless, and free for most Windows 7 and 8 users. But as we all know that Windows 10 still doesn’t provide Blu-ray playback support out of the box. This is why third-party Blu-ray Player software developers are needed to do the footwork. And if you’re looking for a first-rate and reasonably priced Blu-ray player software for Windows 10, there’s no other perfect option than Macgo Windows Blu-ray Player that is fully compatible with Windows 10 and supports Blu-ray discs, Blu-ray ISO files and BDMV folders perfectly on Microsoft’s latest OS. Designed with a slick interface, Macgo Windows Blu-ray Player software can play almost everything else out there and the most significant feature it offers is integrated support for Blu-ray movies like Blu-ray discs, Blu-ray ISO files and BDMV folders on all Windows OS without conversion. It can output up to 1080P High Definition quality without loss. With DTS5.1 audio system, it brings the best-in-class audio output for Blu-ray fans on Windows. And the AirX feature can makes media files sharable between PC and iOS device as long as the devices are connected in the same Wi-Fi environment or Home Network. 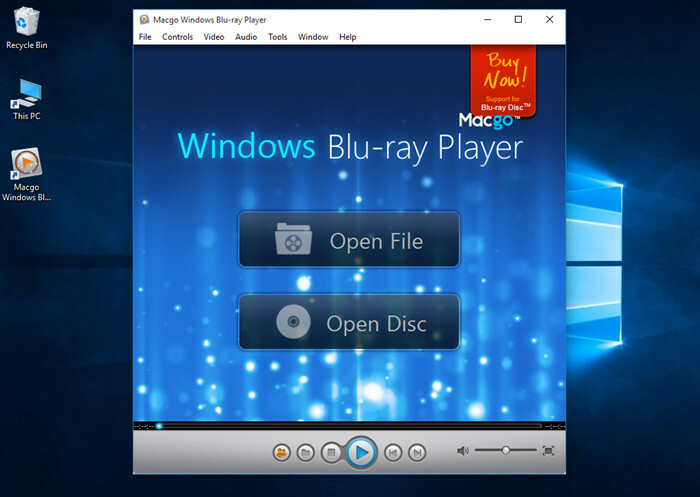 But more efforts are needed on making Macgo Windows Blu-ray Player’s UI compatible with Windows 10’s. It’s completely easy to use. Just download Macgo Windows Blu-ray Player, install it, and insert a Blu-ray disc into the Blu-ray drive. Launch the application, click “Open Disc” in the main interface, after a few seconds’ loading, click “Open” in the pop-up window. Macgo Windows Blu-ray Player will skip straight to the menu or the movie itself. In the Menu, you can select the chapter, subtitle, audio track or play the movie directly. I purchased this today, and while I am happy with the movie playback, on Star Wars EPVII Blu Ray for example, I cannot see any of the menus on either disc, so there is no option to access additional features on the second disc, only the main feature plays. I read the FAQ questions on your site, and it mentions : “Quick Play Mode” and “Blu-ray Menu Mode”, but this is for the Mac version only. The “Blu-ray Menu Mode” does not exist on the Windows version. I’m using version 2.16.10.2261, current as of April 22 2016. When will this be added? I feel like I have wasted $50AUD! Not happy.